Mazda Cross on the Rock Newsletter #6 for 2018. COTR YEAR #13. 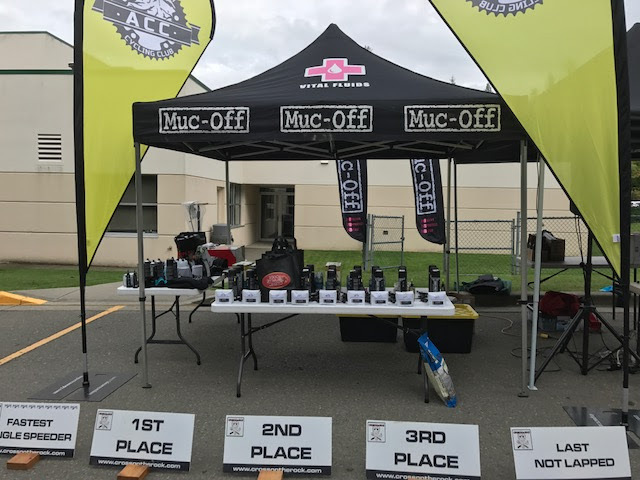 Bikes prepped for race #4 – The KONA KUP with Muc Off. As organizers of the biggest cycling race series in Western Canada and the biggest CX series in Canada the Council of Cross would normally be at the Cycling BC Night of Champions tonight but apparently none of us received invitations. I am sure it was just an oversight…..same oversight that happens every year but one in the last 13. No worries. We will just keep focusing on what we do. Putting on cool events for all of you to race!! Backwards……3 races in a row. All as good going backwards as forward. We never get sick of hearing, “I loved the course today”. 1) Passing Etiquette. We have talked about this at the start of each race BUT it seems to still be a bit of an issue. If we can address it here and have this changed by the KONA KUP and into the rest of the season that would be great. Passing HAS to get more polite. Chopping, blocking, bumping etc. is not acceptable. ESPECIALLY when you are doing that to someone that is racing at the same time as you BUT is not even in your race or category. Smooth it out. Let people know you are coming. Look for a place for them to pull over or to pass safely. IF this does not smooth out by the KONA KUP then we will be watching, calling and DQ’ing. Racing is supposed to be fun. 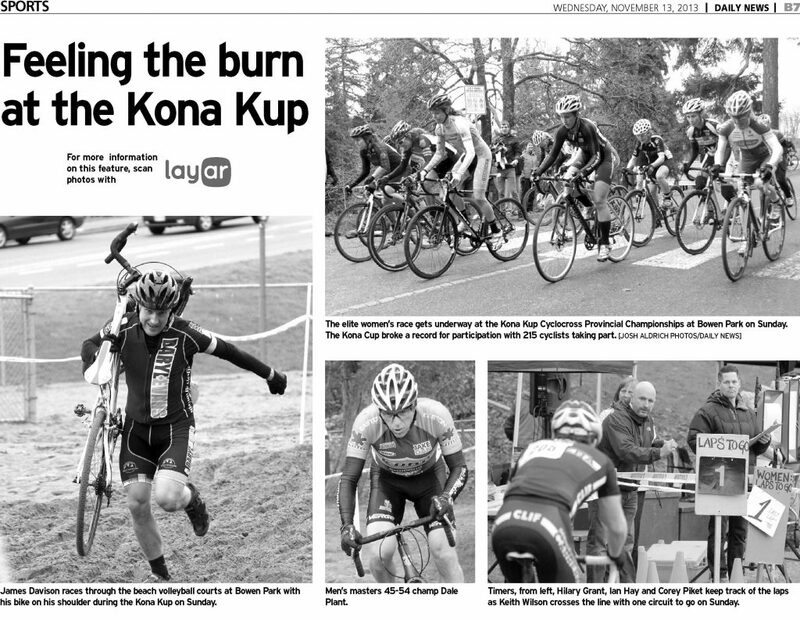 Don’t ruin someone else’s fun by being a D**K.
Over 80 young people from u11 to u19 rode the COTR Qualicum race. One of the big reasons it’s fun is kids get to race with people their speed. Ontario Cycling switched over their road and track youth series from age to ability categories and their numbers have doubled. If you’d like to see cycling fun for young people continue after ‘cross season, come chat about how we might do some youth racing by ability groups on road and track next season. 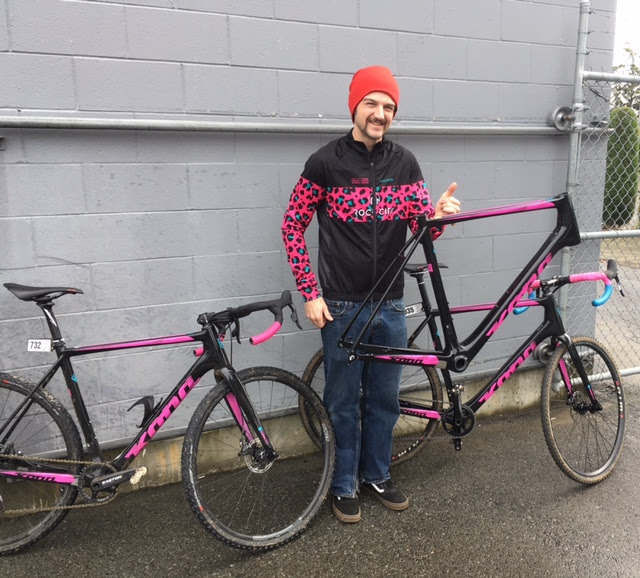 The Greater Victoria Velodrome Association, Tripleshot Cycling Club, and Broad Street Cycles have offered to host events if we can get youth participation like COTR does. Out of the gate PLEASE be aware of other park users, dog walkers and Frisbee golfers. We do not have EXCLUSIVE use of Bowen Park on Monday. Last year some of our racers felt like we did and there WERE problems. IF we have similar problems again this year I can guarantee you this will be the last time we are permitted to use this venue. Do you want to have a VERY good chance of winning a KONA Super Jake Frameset this Monday? Well you have to be PRE-REGISTERED for the race to start. Then you have to be at the awards. Do both those things…..and you will have a VERY GOOD chance of winning!! The statistics tell an interesting and crazy tale. The 2014 version of the Kona Kup is ranked as the toughest COTR event EVER. While the 2016 event was ranked the EASIEST (Until the Coal Cross this year. The 2017 event is ranked 9th easiest. Same race. Virtually the same course. Different conditions. Complete opposite ends of the scale of 85+ COTR events. Taco Revolution Food Truck will be back again this year. There were RAVE reviews about these guys for the last two years so bring your appetite! 2. Cross on the Commons MEGA Review!! We might owe you $5. If you registered ON THE DAY at Cross on the Commons the registration amount was incorrect on the race day entries. 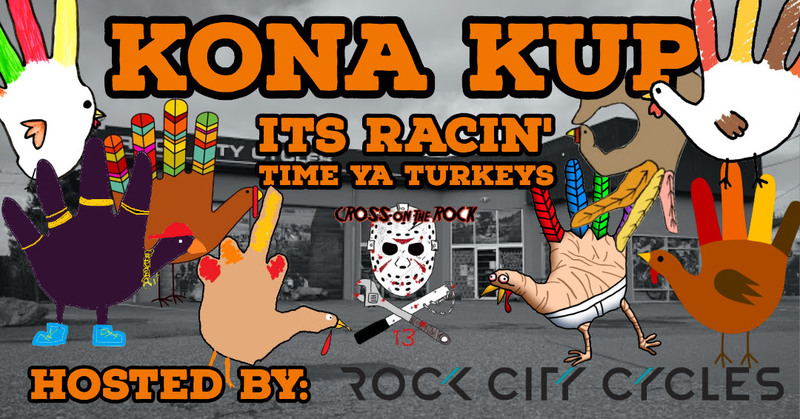 We will have a stack of $5’s and a list of names at the KONA KUP if we owe you $5 come and grab it from us. VERY SORRY but trying to make it right! This is the first time a race review has received the “MEGA” ranking. There is a LOT of info here from the race last Sunday. How many times do you get 2 different videos from 1 event? I can answer that easily. ALMOST NEVER. BOTH with AWESOME Drone footage!! First from Ted Hobby who traded this for the safe return of his front wheel which he left in the pits Sunday. There is one more video but I can’t find it right now. Will post later on the FB page. 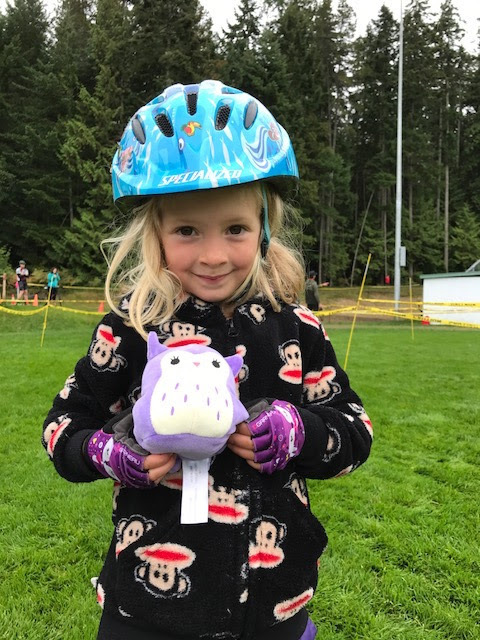 Thanks again to Cross On The Rock for letting the Arrowsmith Cycling Club host another great cyclocross race in Qualicum Beach. It’s a special series that just keeps getting stronger and bigger. Wow, did we ever dodge that rainy weather that seemed to be everywhere else but Qualicum Beach. So Nice! And, hopefully, racers still had a great race on a great course. Thanks everyone for coming out in huge numbers to have fun and shred some sand and grass. Well done! And especially, thanks for following the ‘no shoes’ law in the Civic Centre. I talked with 2 QB Town supervisors and both said everything looked good. And the next big shout out goes to all of the volunteers for making the race run so smoothly. Start at 7, home at 5 for a Big Day. With an extra big, high 5 to the main COTC organizing team of Dean Vinden (course design) and Liz Patola (volunteers) with Sally Vinden taking care of registration. Thanks also to Michael Addiscott (Alert First Aid) as well as Nicholas Knight (Beginner clinic and more). Once again, Richard Franklin (Parksville) gets a special nod for the Facebook banner and poster. Without the great effort from the course setup crew, course marshalls, parking and registration volunteers now of this could happen. Fine job everyone! And far from last, is the awesome support we received from a large number of businesses in Qualicum Beach, Parksville and Coombs that donated product, gift certificates and a whole lot more to a great event. Truly impressed! 2018 COTR season not even half over! Awesome! It’s Year #3 …. and the Tripleshot CrossFondo fun continues!!!! Join riders of all ages and abilities for Victoria’s ONLY mass participation off-road cycling event! The course, appropriate for cyclocross or mountain bikes has a few new surprises and over 50 property owners are opening up access to their land for race day. This event is a fund raiser for the Tripleshot Cycling Club Youth Team and a portion of the funds raised will support the development and maintenance of our region’s amazing trail systems. So far riders have helped us donate $4,100 to the South Vancouver Island Nature Trails Society and South Island Mountain Bike Society. Registration will be capped at 300 riders. We expect to sell out early, so register now! Options: Doubleshot (short course) approx 20-25 km; Tripleshot (long course) approx 40-45 km. Yummy food, bevvies and draw prizes are included with your entry fee! Got a lot of friends? Form a team of up to six riders! If you can’t do either but feel strongly about the cause, you can donate online too! Start/finish is Vancouver Island Tech Park; start time 9 a.m.; Race Pack Pickup for riders who are registered opens at 7:30 a.m. (beat the lineup and pick up your race pack on Saturday, Oct 13 @ Russ Hay’s the Bicycle Store, 650 Hillside from 1 – 4 pm!). VERY IMPORTANT NOTE: Online registration closes Thursday, Oct 11 at midnight! There will be no registration on Race Day . Ok! So what are you waiting for?!! See you October 14! More info @ tripleshotcrossfondo.ca!! 4. 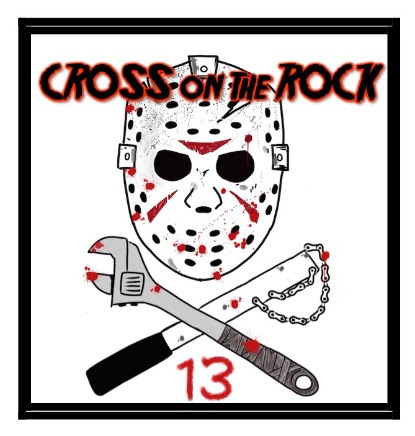 Weekly Cross Happenings on V.I. If you hear of any cross rides or training sessions happening NOT listed here please let me know and I will keep these as up to date as I can. Cowichan Vallen Cross rides. I think maybe Wednesday nights too…..contact them through FB. Registration link can be found @ www.crossclubvictoria.com. Details on locations will be emailed to the registered riders list on the Monday of each week. Make sure you register by Monday morning on the 10th of September so that you can receive the info for Ride # 1 on September 12th. If anybody you know is not on the email blast list from last year, just send them to www.crossclubvictoria.com to register for this year. This is an ISLAND series and the past support we have received from our island community is awesome. Lets keep it up in the future as it is what drives this series and makes it special. PLEASE SUPPORT THE SPONSORS. These are local businesses and companies that support local businesses. On-line companies, amazon, big business (besides Shimano) do NOT support community events.